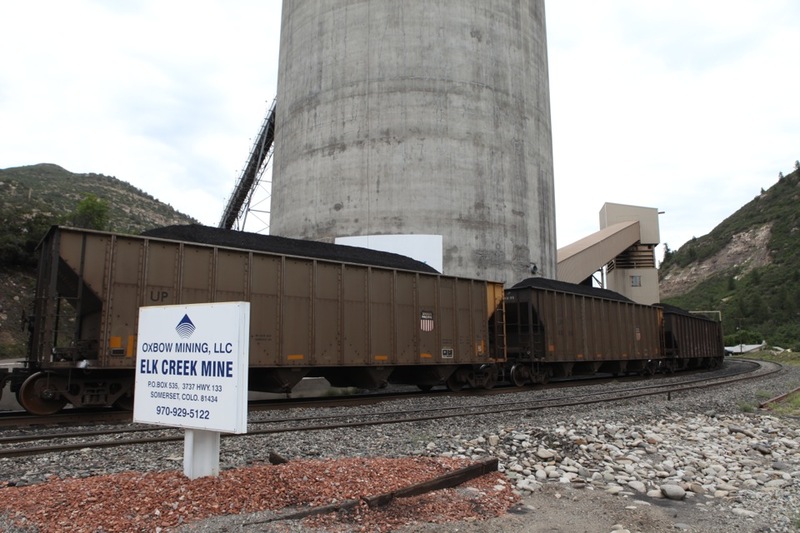 The Elk Creek coal mine in Somerset, Colo., is owned by Bill Koch's Oxbow Energy. Koch supported the project and helped make it a reality. 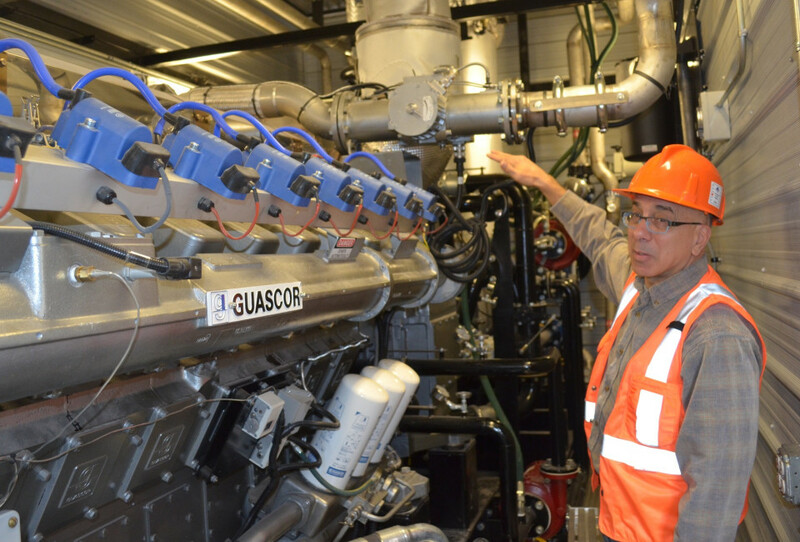 Julian Huzyk, COO of Vessels Coal Gas, describes the workings of a generator, essentially an oversized diesel truck engine with 16 cylinders and 1500 horsepower, where methane is converted into electricity at the Elk Creek Mine in Somerset, Colo.
One of the three men at the meeting was an environmentalist from Carbondale, another was a Denver oil-and-gas guy and the third was the CEO of Holy Cross, a rural, electric cooperative. All three were motivated, in their own ways and for their own reasons, to produce clean electricity. The environmentalist wanted to reduce the threat of global warming, the oil-and-gas guy saw a business opportunity in generating power from waste gas at coal mines, and the utility guy had a mandate from both the state of Colorado and his ratepayers to go green. In the end, however, Vessels, Worley and Udall leaped numerous hurdles and succeeded in creating a 3-megawatt methane-to-electricity plant in Somerset. They gained permission from the Elk Creek Mine, owned by Oxbow Carbon LLC of West Palm Beach, Fla., to capture vented methane at the sprawling mine complex just off Highway 133 below Paonia Reservoir, and Skico invested $5.5 million to build the generating plant. Holy Cross bought the power, using a series of “wheeling agreements” to carry the electricity across other companies’ lines to Holy Cross customers in Eagle, Garfield and Pitkin counties. Profits from the plant accrue first and foremost to Skico, which put in the most money. Jones says the plant produces a modest 12 percent return on investment. When Skico’s investment is recovered, the other partners will receive larger shares of the proceeds. Methane enters the generation station at center right, and then the stream is split. Gas bound for the electrical generators is carried through the yellow pipes at left, where it is compressed and chilled before conversion to electricity. Excess gas is directed to the right, into the blue pipe, and is then burned. Currently, far more methane vents from the Elk Creek Mine than the plant can use for electricity. Skico is a resort business, but in the last decade it has evolved into a power producer, too. Clean energy is a “very small fraction” of its overall revenue, Jones said, and completely separate from its core business. 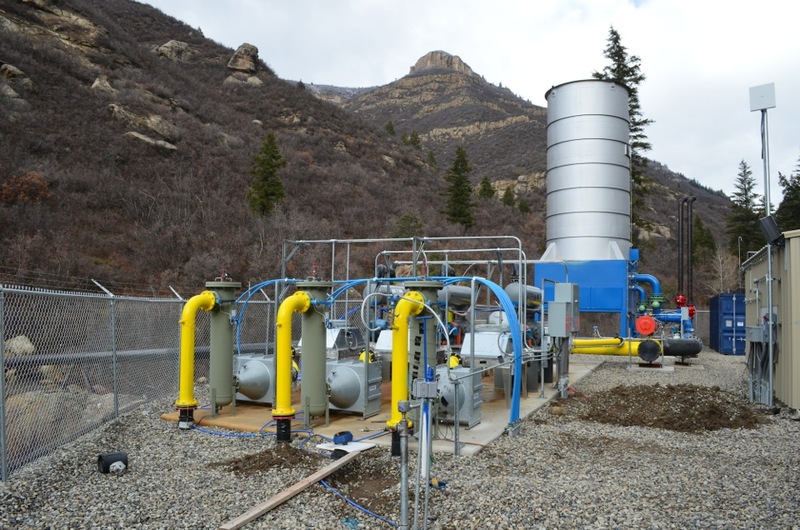 Nonetheless, Skico now operates a micro-hydroelectric plant at Snowmass ski area (2004), a 147-kilowatt solar array in Carbondale (2008) and now a 3-megawatt methane plant. Together they produce enough clean power to supply some 2,420 average American homes. Situated in a steep-walled canyon of tan shale, the Elk Creek Mine is one of several industrial complexes that give the North Fork of the Gunnison River an Appalachian coal-country feel. To reach the methane plant, one must leave Highway 133 in Somerset and climb a steep dirt road into a tributary valley where, amid forests of scrub oak, the mine entrance bores into the mountainside. Roughly a quarter-mile above the entrance, a powerful ventilation system pulls air from the vast network of tunnels and methane is extracted, compressed and conditioned for conversion to electricity. How did the deal come together, and why? Billionaire William Koch owns Oxbow Carbon, which owns the Elk Creek Mine. Aspenites know Koch as the owner of the Elk Mountain Lodge on Castle Creek, along with his recent opposition to the city of Aspen’s proposed (but never built) hydroelectric plant. Koch has invested in renewable energy projects in the past, but has vocally opposed the Cape Wind project on Nantucket Sound, where he owns a residence. When it came to burning waste methane for power, however, Koch told Aspen Journalism the new operation appropriately complemented the coal mine. 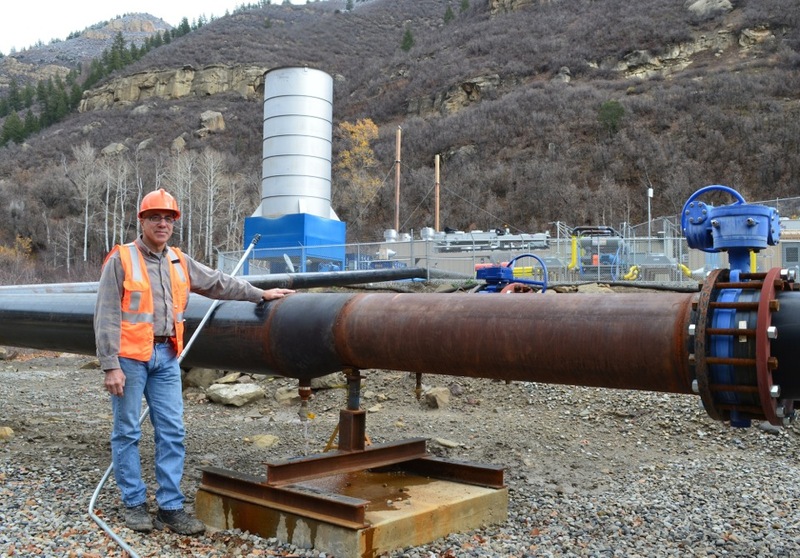 This inlet pipe delivers methane gas from the Elk Creek Mine past Julian Huzyk, the lead operator of the electrical plant, to the generation station in the background. Inside the steel silo behind Huzyk, called a thermal oxidizer, excess methane is burned to prevent it from entering the atmosphere. Editor’s note: Below is the text of an email exchange between reporter Bob Ward and Bill Koch of Oxbow. Editor’s note: This is the first in a series of stories by Aspen Journalism done in collaboration with The Aspen Times about the energy efficiency and sustainability efforts of various ski areas. The Times published this article on its front page and its website on Monday, Nov. 18, 2013. It also ran the Q&A with Bill Koch.